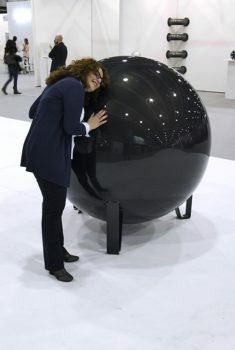 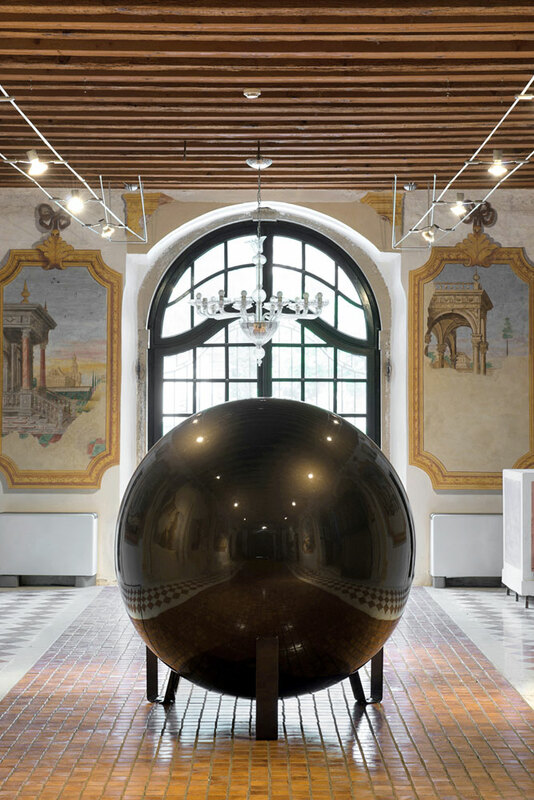 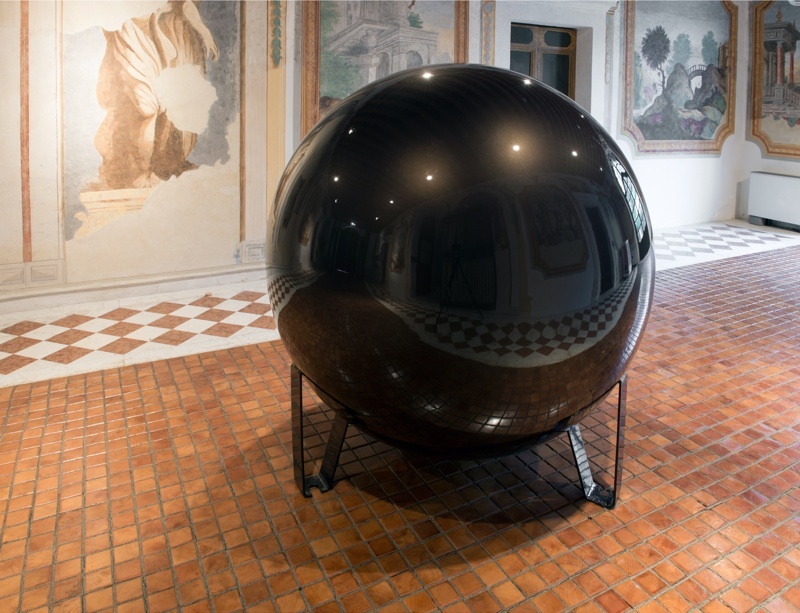 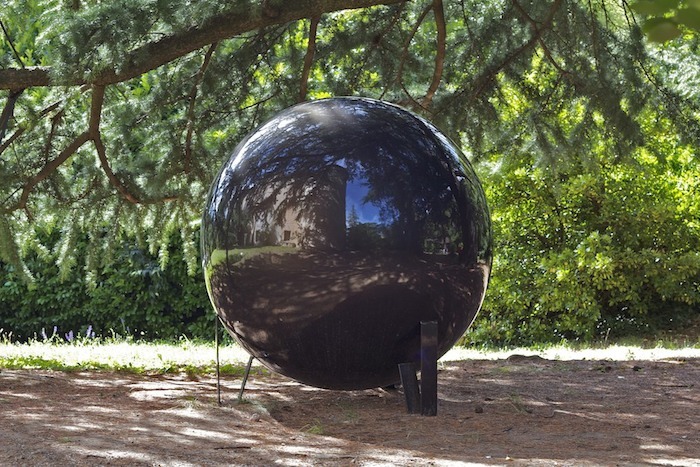 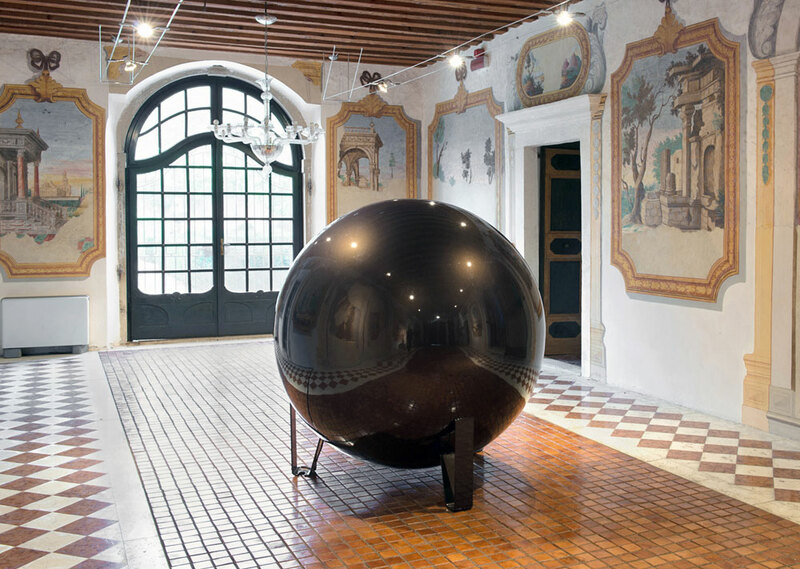 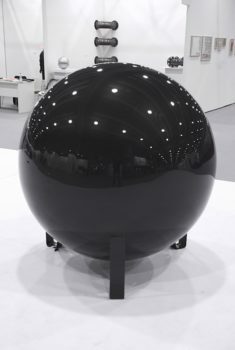 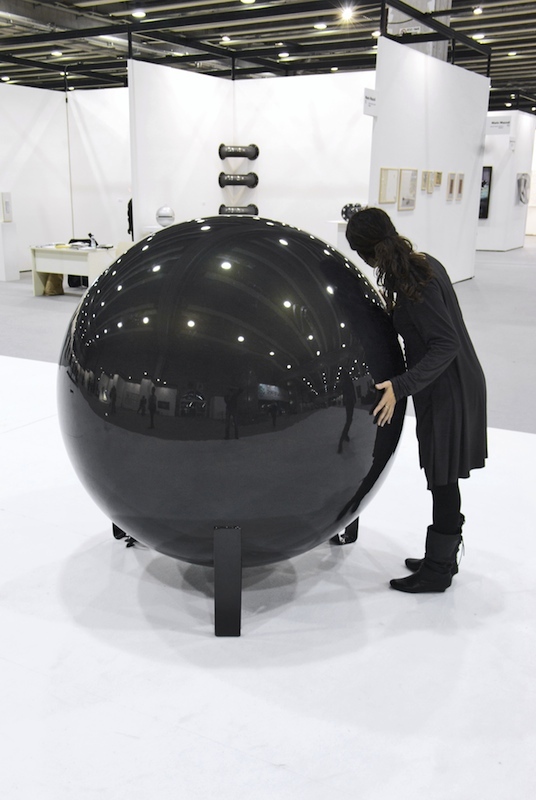 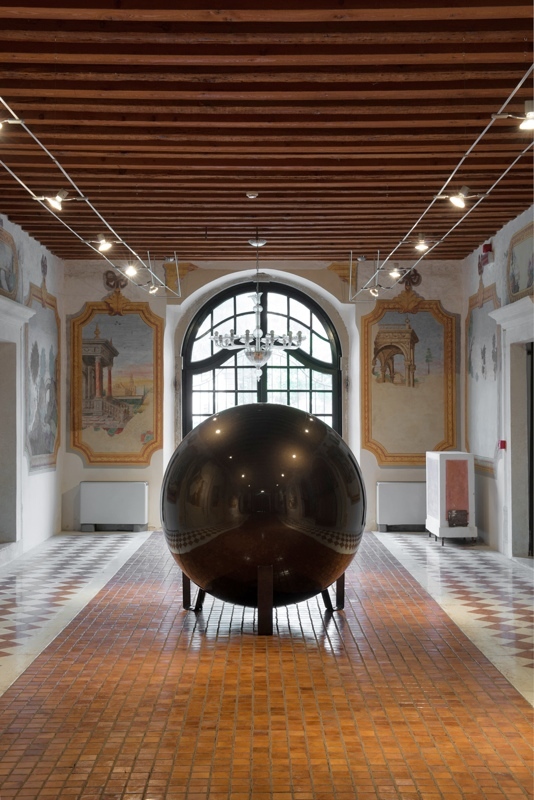 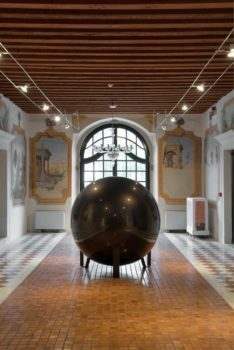 The sound sculpture Q is a massive spherical iron vessel inside which it echoes a recording of the resonant frequencies of its own structure. 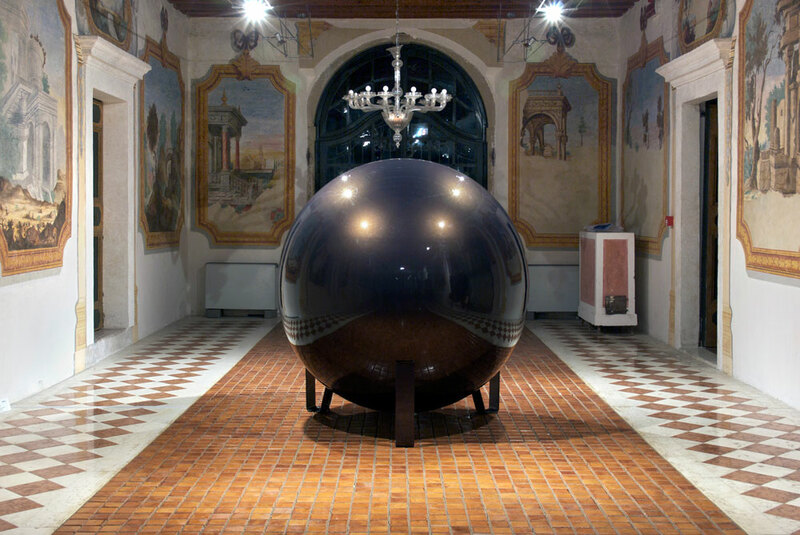 The title refers to the shape of the sculpture (that resembles the capital letter Q), but also to the Q factor used to control the frequencies bandwidth to analyze the resonance of the vessel. Furthermore it refers to the Japanese word “kū” (void), one of the five elements in the Godai philosophy: sculptural matter when extended in space, internally configures a conceptual hollow space. 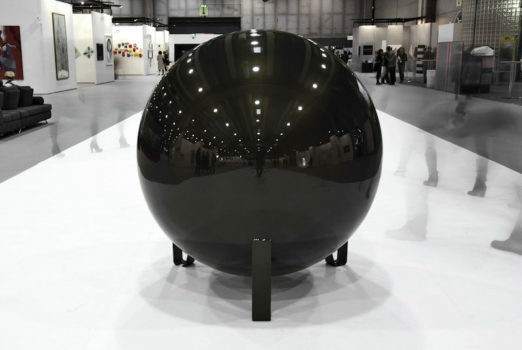 To paraphrase a famous Buddhist sutra, the form is void and void is form. In this sense the metallic surface becomes a membrane shaped by the void that it contains. The sculpture is therefore defined by its internal spatial and acoustic volume rather than by its large mass.